Jerry Arnott, director, Civil Service Learning, spent 20 minutes talking about ‘transforming a learning culture’ at the CIPD’s HRD conference 2013. This is our live blog from the session. The Civil Service is on an exciting and challenging journey. We are a very diverse and complex organisation with 420,000 employees across the UK. We are currently reducing these numbers and delivering more with less is a challenge. It is a federal organisation but needs to be more collective and unified in its approach across the organisations and boundaries it spans. Three years ago it was complex with 200 frameworks in place with L&D providers. There were numerous overlaps where departments had frameworks with the same providers. Some 2,000 staff were involved in L&D design and delivery and many more in business. There were 5,000 classroom courses, 1,600 elearning programmes with 500 people management courses to choose from. Only 7 organisations across the service were evaluating ROI and 11 were doing no evaluation beyond happy sheets. Classroom courses were being under used by as much as 40%. Added to this, in recent years HR in Civil service been reduced from 10,000 to 5,5000 people. For L&D we needed to work out how to pull it all together. So, we . . . Moved to blended and flexible working. Moved away from mostly classroom delivery. We now have 280 programmes that are 50/50, face to face and online. We have a new competency framework, 4,000 learning resources and 250 programmes, 136 of which are face to face. 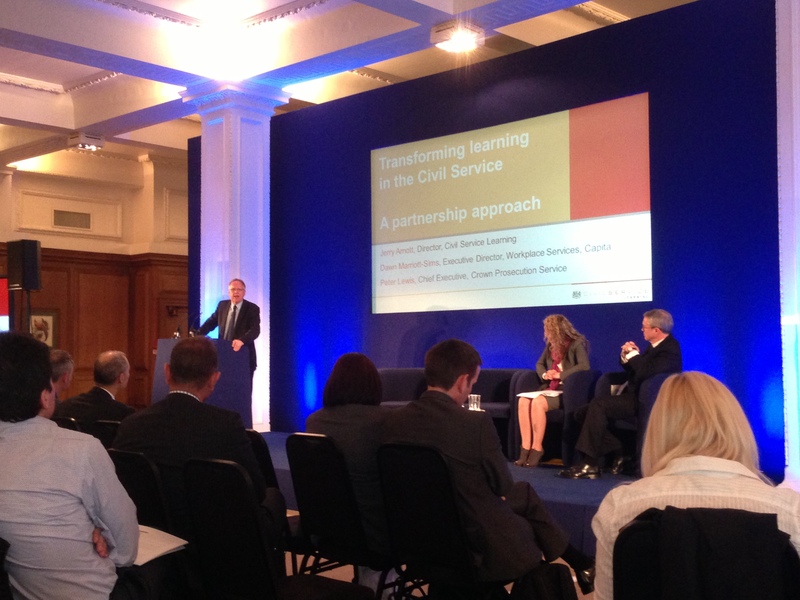 The Civil Service Reform Plan spells out plans for the service to become more agile. L&D must help the service to realise on the plan. Priority for L&D is to . . .